Telenor offers access to the platform Hartii.online which facilitates accountants, consulting companies and their clients. Hartii.online is an innovative service aiming to facilitate the accountant processes in the business organizations. The platform provides quick and universal exchange method for invoices and other financial documents, both inside the organization and to external accounting offices. The effective way the service works lets companies avoid the accumulation of invoices and other accounting documents at the end of each month, as well as their possible loss. With Hartii.online users can take a picture or scan the invoice and upload it to the platform. From there, the document automatically shows up in the accountant’s profile, who can process it at any convenient time. All invoices are automatically sorted by the date and hour they were sent and received for easier tracking. The data that until now was manually transferred from paper and images, is now copied and directly uploaded to the client’s accounting system. The service gives access to every invoice at all times and makes collecting, storing and exchanging paper copies of such documents obsolete. The special optical recognition technology allows searching by key words, numbers and other data in the invoices. This way an old invoice can be found by only a single word in it. Telenor offers the service Hartii.online for BGN 14.99 per month with a 12-month subscription or for BGN 11.99 with a 24-month subscription. This price includes unlimited documents and searches. Separate account is necessary for every client and user may manage the number of licenses used during the subscription, depending on their needs and the number of clients they serve. 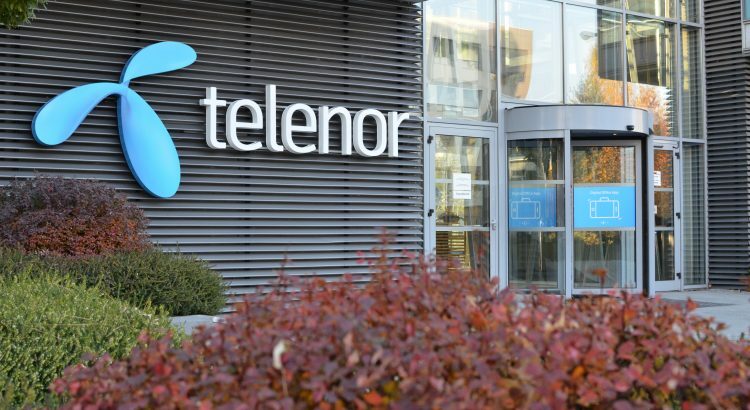 More information on this offer is available at the official website www.telenor.bg, via call to a short number and at any operator and official partner shop. PPF Group invests in multiple market segments such as banking and financial services, telecommunications, biotechnology, insurance, real estate, and agriculture. PPF’s reach spans from Europe to Russia, Asia and North America. PPF’s assets under management totaled to almost EUR 38 billion (as at 30 June 2018).